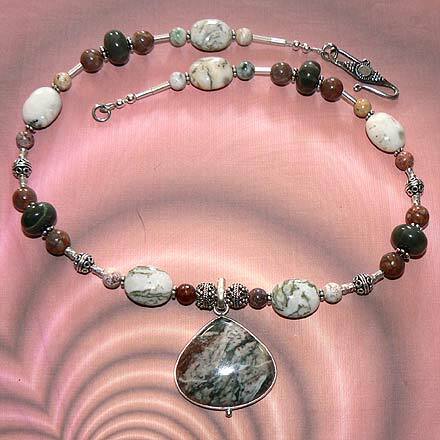 Sterling Silver Flower Jasper Necklace. See Closeup. 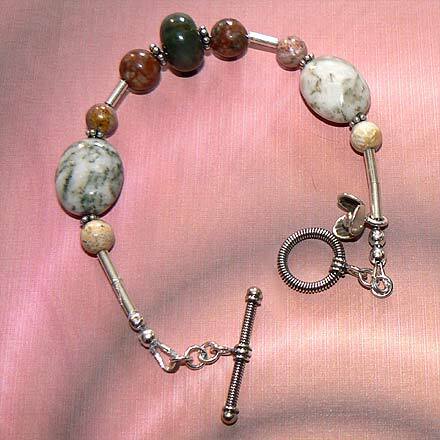 Sterling Silver Flower Jasper Bracelet. 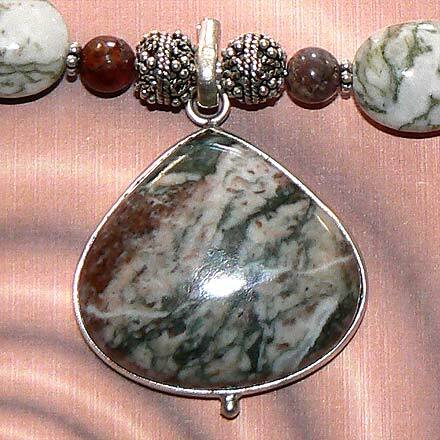 Flower Jasper blooms with streaks of whites, greys, reds, greens, blacks and even yellow. I've also seen this stone called "Florence" or Flowerite", but I'm not sure which, if any of those names, is accurate.